Weather data show that the shortage of rain is as high as 800mm at some places in the region compared to previous year’s figures. While Jalpaiguri received 2,170mm rain from January 1 to July 25 in 2013, this year’s recording for the same period was 1,881mm, a shortage of 289mm. The difference in the rainfall in Alipurduar is 835mm with the town receiving 2,238mm from January to July 25, 2013, and 1,403mm this year. The figures for the same period in 2013 and 2014 in Banarhat are 3,481mm and 2,645mm, respectively. 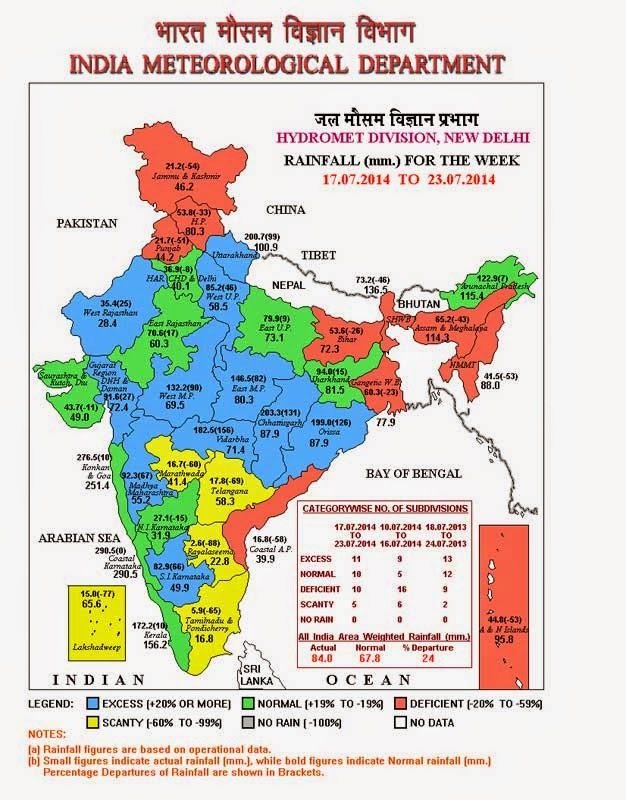 Since the last 15 days, Siliguri and Jalpaiguri have not got heavy rainfall. IMetD is reporting a low pressure in the northwest Bay of Bengal which is expected to move in a northwesterly direction. We are keeping a watch.